TheftClassOnline.com was developed Ari Novick, Ph.D., a licensed Psychotherapist and expert in the field of anger management, substance abuse, impulse control disorders and parenting. The courses found on this website are educational in nature aimed at stopping theft and the behavior associated with stealing. Our programs have been used by participants and accepted by courts throughout the United States as one of the finest distance learning Theft and Shoplifting Education programs in the county. This model is based on an cognitive-behavioral and psycho-educational approach, with the intent of changing thinking and behavior specifically related to stealing. None of our courses are meant to replace or should be used to as a replacement for medical or psychological advice, in-patient treatment or other relevant programs. We offer our standard 4 Hour class as well as an Advanced 10 hour class. Please contact us for more details. All students participating in TheftClassOnline.com will receive a certificate of completion when the course has been finished. Proof of enrollment and progress reports are also available. We stand behind all of our products and programs. While many participants take online theft and shoplifting education classes for personal or occupational reasons, others may take them for a court, probation or other legal requirement. 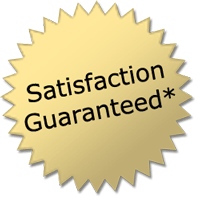 If you are not completely satisfied with the quality and acceptance of our programs for a court or legal requirement, we will refund your money in full with written proof of decline. Refund request must be received within 60 days of purchase. Our classes meet requirements in many states for persons required to complete an theft or shoplifting class due to a citation for theft, petit larceny or shoplifting. It is your responsibility to confirm with the judge, probation, or your attorney as to whether our distance-learning Theft and Shoplifting Education program will meet your requirements. Our Certificate of Completion comes on an official form commonly used by Theft Education Programs. It simply states "Theft Education Program Certificate of Completion". Also included on the certificate is your name, date of birth, case number (if for court), address, phone number, and number of sessions completed (either 4 or 10). We use the same certificate for all of our programs. You might also be interested in Anger Class for Parents, Anger Management Class for Adolescents, United Kingdom Anger Management Classes or Australia Anger Management Classes as well as Online Parenting Classes, Sexual Harassment Classes and Alcohol Awareness Classes. Our online theft & shoplifting classes and minor in possession classes have been used and accepted in throughout U.S. Please verify with the judge or court whether a distance learning program will meet your specific requirements.